Stick to the rules, try hard and play fair: three simple injunctions that capture the essence of Olympic spirit and the message of the anti-corruption movement. It’s not surprising that sport and the Olympics are used to inspire young people and to promote integrity. But sport has a darker side, too, and with 10,500 athletes competing in over 300 events, it’s hardly surprising that the 2012 Olympic Games has thrown up a controversy or two. There was talk of doping in the pool when personal best times were shattered and cheating across a number of disciplines (so far at least five athletes have tested positive either just before or during the Games and have been disqualified). But one of the biggest controversies of the first week centred on blatant manipulation of a result. Eight women’s badminton players, including the best in the world, were disqualified for trying to lose – a violation of their own sport’s code of conduct and the Olympic spirit. In point after point, the players purposely miss-hit, provoking a chorus of boos from the paying crowd. Both teams wanted to avoid playing a tough opponent in the next round. The International Olympic Committee came down hard on the players. However, there were other instances that hardly reflected the Olympic spirit but did not result in disqualification or any other sanction. In a group stage match in the women’s football, it was clear Japan were playing for a draw in their final game. They wanted to come second in their group to avoid changing venues for a quarter final match in Glasgow, 640km from their base in Cardiff. They ended up beating the favoured Brazilians 2-0 in Cardiff. They played their semi-final match in London, 250km from Cardiff, and are now in the final. Perhaps more controversially, a British cyclist admitted crashing at the start of race to force a restart. The team went on to break a world record and win the gold medal as they were expected to. So, what about such “strategies” as forced crashes and deliberately losing in sport: can it ever be right not to play to win at all times? The British cycling team, for example, did not break any rules. You can force a restart within a proscribed distance if you come off your bike. In football there is nothing to say players can’t ease off when a draw is all that is needed. And who would tell Usain Bolt that he couldn’t slow down when the race is won or qualification to the next round already in the bag? There is a fine line between playing to win and doing enough. The badminton example, however, is different. It clearly shows a case of manipulation of a result for sporting reasons. All the players wanted to lose in order to gain an advantage and were disqualified for acting “in a manner that is clearly abusive or detrimental to the sport.” The loud boos showed that the fans were greatly displeased by the conduct of the players. Blending sport with culture and education, Olympism seeks to create a way of life based on the joy of effort, the educational value of good example and respect for universal fundamental ethical principles. What Pierre de Coubertin, the founder of modern Olympism, wanted us to learn from the Olympics was the importance of integrity and ethical standards. In recent times the IOC has worked more efficiently to fight doping and match-fixing. But the suspicions, even among the athletes, regarding astonishing performances; the well-known deficiencies of the anti-doping system; and the demonstrated nonchalance with which the eight badminton players refused to play even when the spectators showed their disapproval – all of these cases tell us how much work still has to be done. And as the stakes get higher in sport, the temptation to cheat becomes even greater. 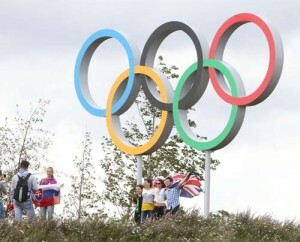 The motto of the London Olympics is “Inspire a generation“. The organisers see this in the context of filling the playing fields of the world with aspiring sporting achievers. I see the message spreading further afield. When sport is carried out in a spirit of comradeship and fair play, it exemplifies the best elements of human nature and sets the highest standards for all of us. That can only be good for the fight against corruption.